Ever had poké? It’s the new street food craze taking London by storm, ever since friends Tom Greenhill and Marty Sykes set up their Poké Bowl food van at Mick’s Garage in Hackney’s Crate Brewery in the summer of 2017. Their Californian take on a healthy Hawaiian fish and veg bowl proved hugely popular and Tom and Marty opened a string of pop-ups in other London markets. 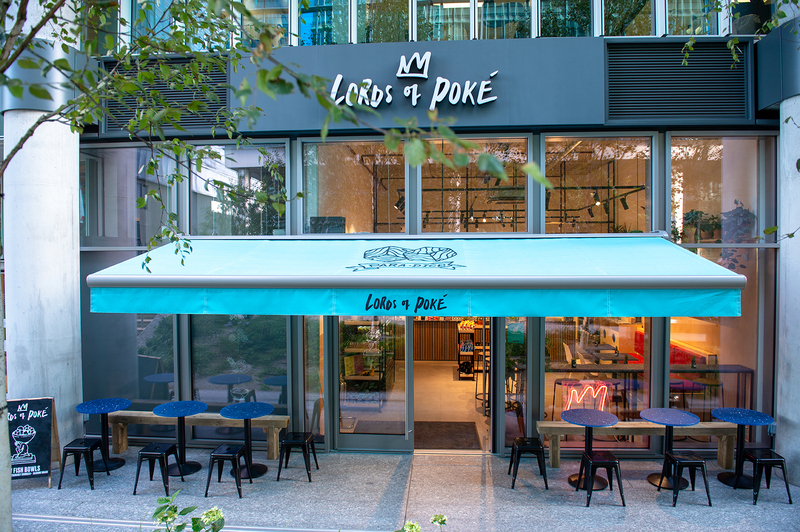 This year they decided it was time to take Lords of Poké to the high street and engaged designer Megan Sadler to help them create their new flagship restaurant in Paddington Central. 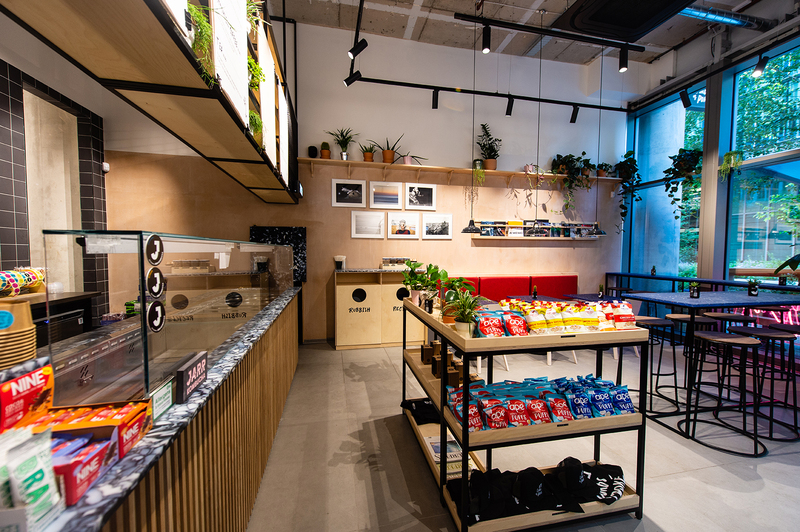 Fileturn was charged with bringing Megan’s design to life, fitting-out an interior that mirrors the fresh and natural food bowls on the menu. 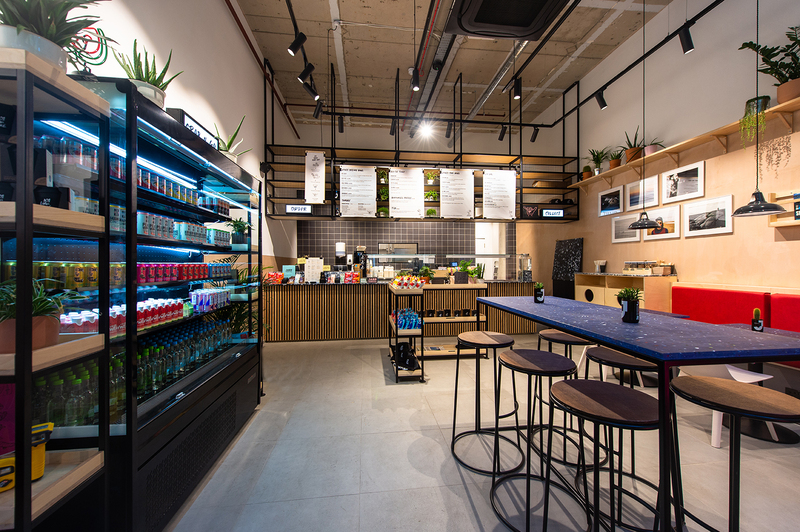 Concrete floor tiles, natural wood furnishings and industrial style shelving create a stylish, urban ambiance, allowing the food bar to sit perfectly with the street food brand – a seamless transition from street to seat. With a budget of £100k, we provided the interior fit-out of the kitchen, food bar and seating areas inside and out, completing the work over a period of six weeks. Lords of Poké in Paddington Central is now open for business and receiving rave reviews.